KNOKBAM utilises different species of bamboo to make furniture ranging from dining tables, chairs, and cabinets. 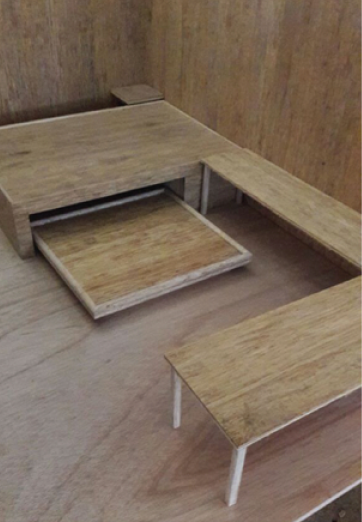 The research team implemented comprehensive designs that incorporated versatility as well as convenience; KNOKBAM is currently in the process of collaborating with renowned wood furniture manufacturer Ruma Japara, based in Jepara, Central Java province to produce the KNOKBAM brand. Furthermore, their research concluded that Indonesian bamboo was found to be of greater quality and strength compared to those found in other Asian countries, highlighting the large potential of the country’s bamboo plants for the production of furniture. BINUS UNIVERSITY’s recent research on bamboo demonstrates the university’s efforts in acting upon the mission of Indonesia’s Ministry of Education to increase research in science and technology amongst higher education institutions in the country. BINUS UNIVERSITY thus continues to strive to produce research that impacts the welfare of societies and contributes to Indonesia’s competitiveness.